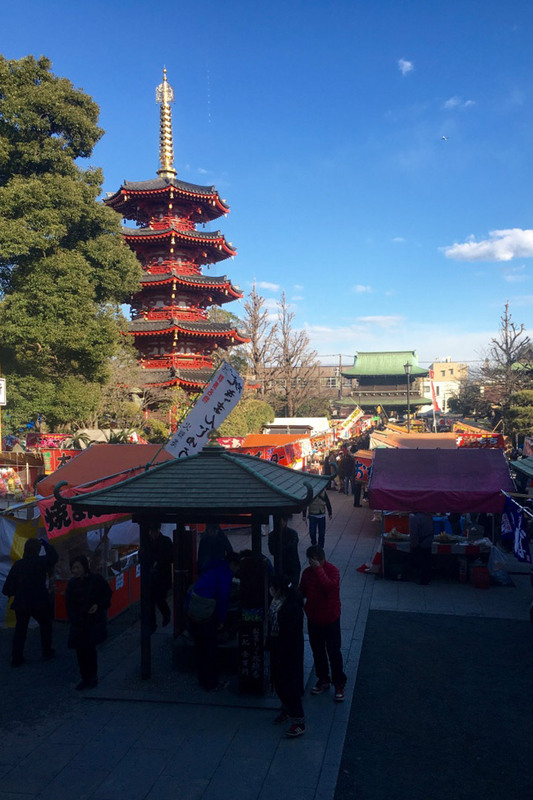 It’s going to be in a series of 3 stories and this is the first one all about our Japan trip. More detailed info will be on the next blog post, so please remember to SUBSCRIBE and don’t miss out on our continues stories and detailed family trip ideas & tips! I hope this series of posts will give you some new ideas, inspiration and support for your next big overseas journey with your children. We though, “Let’s tackle this big journey and spend some quality family time with our parents before they might not be able to recognise us anymore or have to go into a care home or somewhere like that!“ …and important bonding time for all. Stopping over in Japan was a major concern for us. 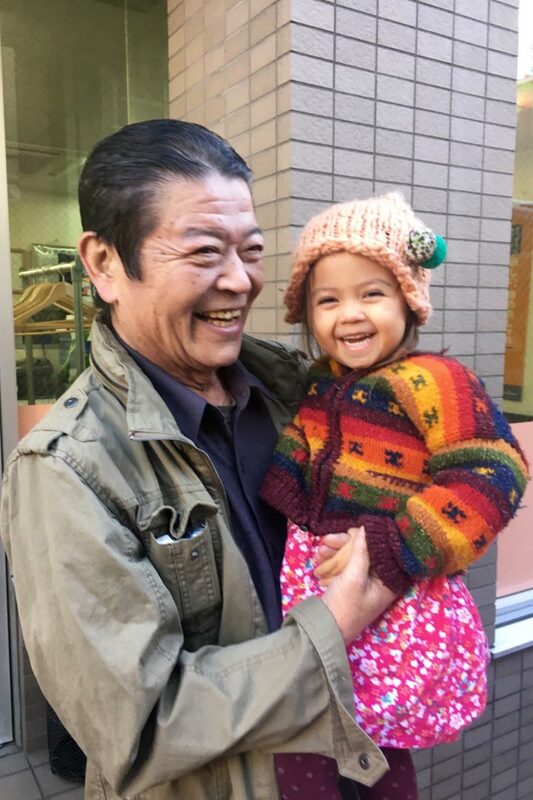 Previously, we had made the conscious decision not to visit Japan with our kids due to the high level of radiation spread out all over the country in the last 5 years since the Tsunami hit Fukushima… There are just so many things that are still unknown or unclear around the radiation issue. Even when not staying close to the radiated area, no one can really tell the extend of the water, food and air pollution/radiation or how safe it really is in various parts of Japan, especially for kids who are naturally a lot more susceptible to radiation than adults. Sadly, no one is talking about that subject anymore over there, so we decided to keep our stay in Japan very short, minimise exposure risks and prepare well. Taking our kids into an uncertain environment like that is totally up to us – each parents’ responsibility, a big responsibility! So, we decided to stay in Japan for 5 days on the way to Germany and 4 days again on the way home to Australia. We took a lot of clean organic food from AUS and Germany for us to eat into Japan and in the weeks leading up to the trip we took a lot of radiation diminishing supplements like Spirulina and special Homeopathic remedies. We simply didn’t wanna risk putting unknown/possible polluted (radiated) food into our children’s body. 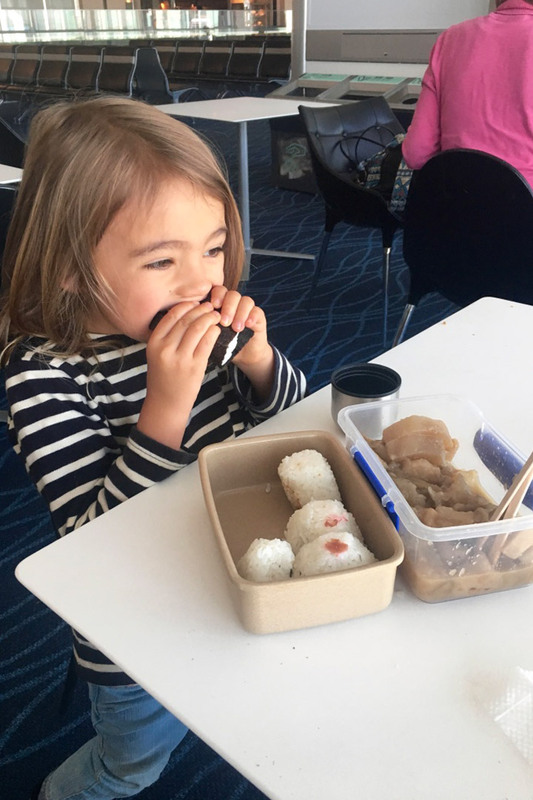 To be honest, carrying around lunch, snacks and dinner in our big backpack whilst visiting different places in Japan was a bit of a mission, but we managed it Ok.
One of our kids highlights of the trip! They had never seen any kind of kid’s movies before. 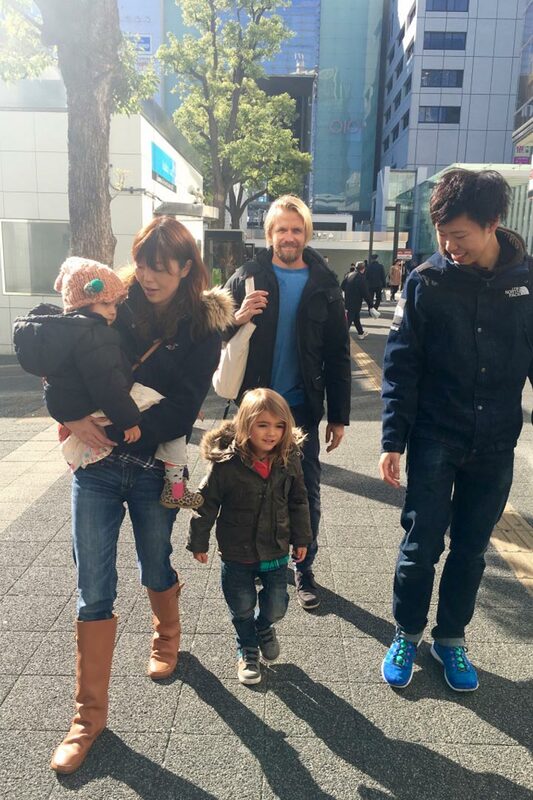 At the airport in Japan our kids said, “Wow, so many Japanese people here”. 10pm AUS time, kids were still happy but certainly verging overtired hyperness. Auntie & cousin…meeting all new family members was exciting + exploring the big city was spinning for us all. This was one of the main reasons of our trip – bonding time! YES, these big smiles I have been waiting to see for years! Indoor play centre – a bit of a crazy system, but happy to see the kids running around. There really aren’t many options for kids to run around freely and safely in the big city. Very traditional ceremony ”Shichi-go-san”, which means “seven, five and three”, is a Japanese annual event to celebrate healthy growth and wish longevity for three and seven-year-old daughters, and three and five-year-old sons. 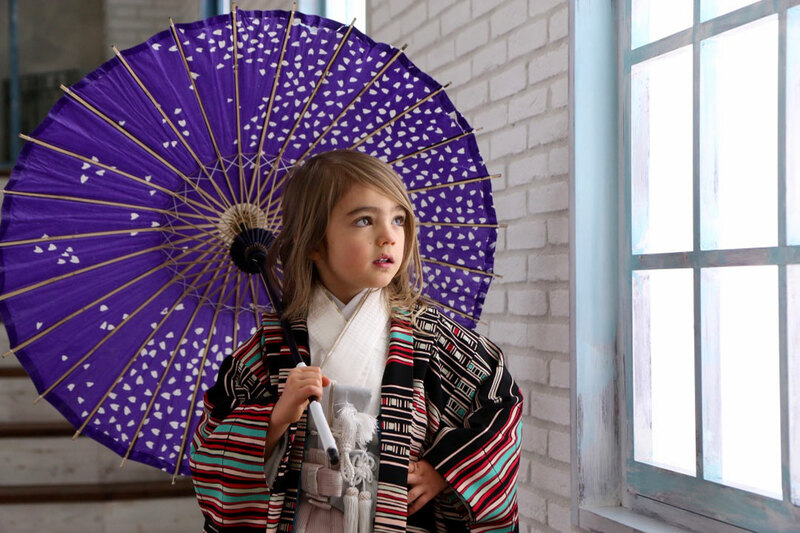 Children usually dress up in a kimono for girls or hakama for boys and go to shrines or temples to pray for their healthy growth and longevity with their parents. They also take commemorative pictures at a photo studio. 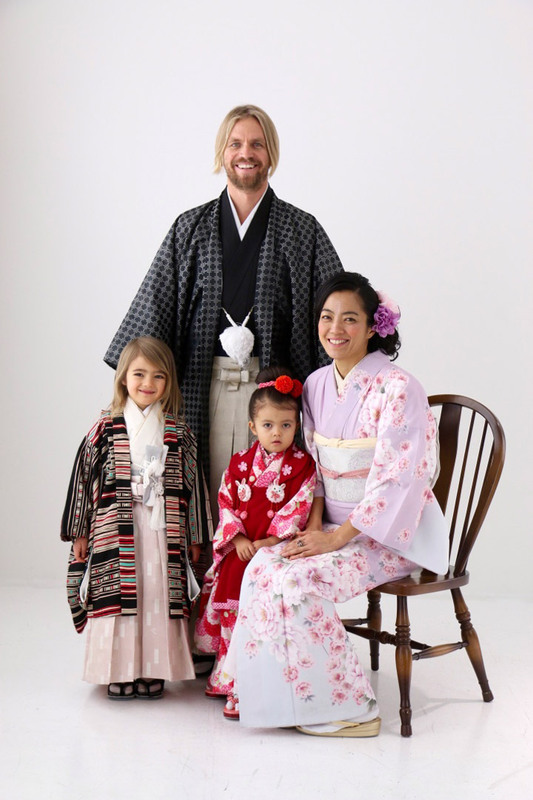 Our daughter Mokky is fully dressed up in a traditional children’s kimono for her 3 years old ceremony. My heart was melting…. Malou was very good at the shooting. 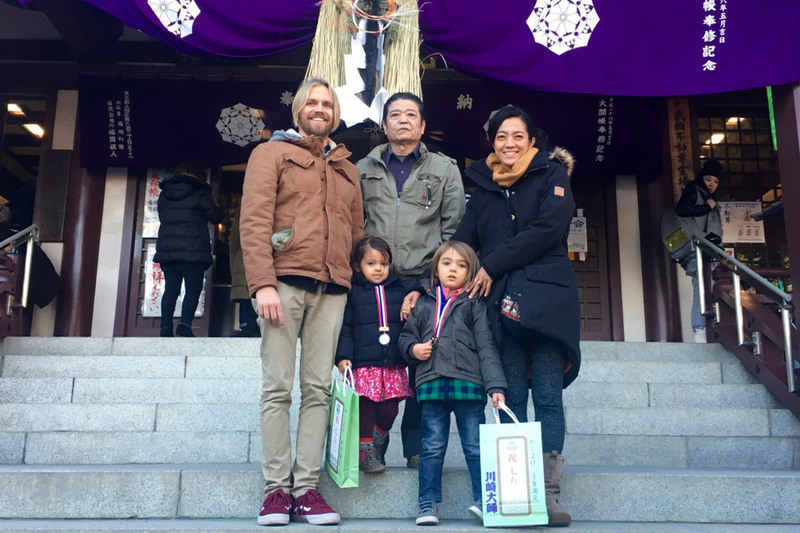 Amazing to see our two sweet little humans in Japan wearing traditional kimono and taking in my culture into their little souls. We visited my local town’s very popular temple to have a blessing by a special monk for our children’s Shichi-go-san ceremony. Cleansing with the smudge before getting into the temple. Found a few Magnolia trees at the temple garden and this wooden sign said MOKULEN, which means Lotus blossoming on the tree, or Magnolia in Japanese. It’s one of my favourite flowers and my daughter’s name. Inside of the temple, waiting for their turn to have a blessing. Organising this special ceremony was a big mission in Japan. However, it was so impressive and yet overwhelming to feel how amazing and precious it is to be a parent. It was a major reword for our 5 years of hard work! We are trying to raise our children very simple yet in a most nourishing way in Australia. We normally avoid character toys, but Hello Kitty was different story 😉 Mokky was in heaven! Malou getting ready for the next flight! Homemade Veggie stew & rice balls with pickles…very nourishing, solid snacks. Bye bye Japan…Germany here we come! This amazing papa had no problem to juggle 2 children on the plane. Feed, Play, putting to asleep. Now its his relaxing time with a movie and the kids on his lap for the next 5 hours….! You are amazing! Flying East to West is going to be very interesting. Chasing the sunset is beautiful, but how big is the jet lag going to be… scary thought. 3littlespirals Retreats are all about reconnecting with yourself...physically, mentally and spiritually through slowing down and tuning in. Explore clean organic beach side living, guided bodywork and transformation to understand the deeper inner self. © 2017 - 3littlespirals. All Rights Reserved.